TORONTO — When one attends an overstuffed international film festival like the one that ends in Toronto on Sunday, concordances and unintentional echoes abound. Is it coincidence that I saw two excellent movies here about men in outer space, one a triumph of personal and communal effort and the other a dystopian head trip about seeding the universe with our worst impulses? Or that of the two big dramas about pop music fame, one concerns a star being born and the other could be titled “A Star Rots From Within”? There are other cinematic double images at the 43rd Toronto International Film Festival, but these are the most striking. Damien Chazelle’s “First Man,” about the 1969 Apollo 11 moon landing, rolled in on waves of applause from the Venice Film Festival and lived up to the hype. It gets released to theaters Oct. 12 and it is thoughtful and weighty and wise: an important movie about everything that can go right when determination and luck come together. 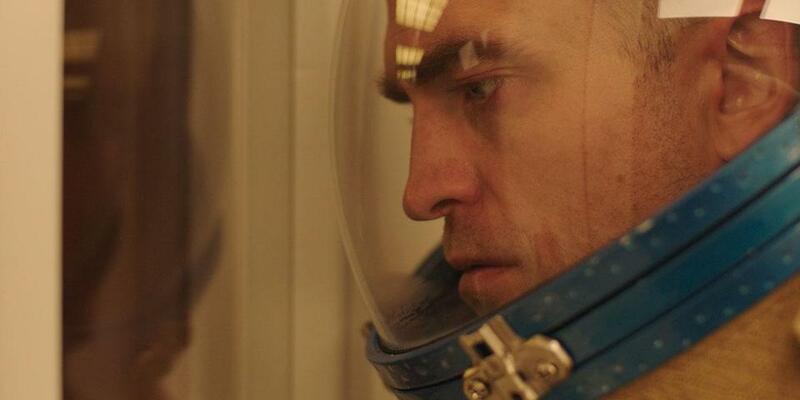 “High Life,” from the defiantly hard-to-pin-down French director Claire Denis (“Beau Travail,” “Let the Sunshine In”), is an unexpected sci-fi outing about how everything can go wrong in outer space — especially when you outsource convicted murderers into never-ending space missions that involve insane breeding experiments. What sounds like a gore film is actually an elegantly terrifying psychological horror movie, more in Kubrick’s corner than what Chazelle’s up to. Star Robert Pattinson rises to the occasion as the mission’s sole adult survivor, while Juliette Binoche rules the flashbacks as the sinister Dr. Dibs. “First Man” is moving and awe-inspiring; “High Life” is cryptic, unsettling, and unforgettable. This is why some of us love the movies. The fourth iteration of “A Star Is Born” — fifth if you count the 1932 progenitor, “What Price Hollywood?” — turns out to be better than almost anyone expected, with Bradley Cooper proving to be a competent director capable of real lyricism in the movie’s first hour and Lady Gaga empathetic and soulful as a deserving New York nobody on whom pop fame suddenly descends. By contrast, Brady Corbet’s “Vox Lux” acts out the dark side of fame in an acrid tale about a Staten Island teenager (Raffey Cassidy) who survives a school shooting to grow up into a monstrous pop-music diva played stridently (and not very convincingly) by Natalie Portman. “A Star Is Born” caters to all the show-biz clichés that “Vox Lux” strains to subvert and destroy; that the sweet old lies remain more convincing — and will certainly sell more tickets — than Corbet’s version of the awful truth says something about the film industry and probably more about audiences. Further festival refractions: two highly-stylized crime dramas that feature nail-spitting female heroines. One works, the other doesn’t, although both are worth seeing. “Destroyer” stars Nicole Kidman in her most deglamorized role yet, as a Los Angeles police detective with trauma in her past and vengeful deeds in her present. The director is the talented Karyn Kusama (“Girlfight,” “Jennifer’s Body”), and direction is what hoists a script over-reliant on a weary nihilism seemingly borrowed from HBO’s “True Detective.” There’s less than what meets the eye in “Destroyer” — but what meets the eye is still impressive. “Widows” has the stronger pedigree: writer Gillian Flynn (“Gone Girl,” “Sharp Objects”) relocating a mid-1980s British miniseries to her native Chicago for director Steve McQueen, who dives deep into genre after “12 Years a Slave” and “Shame.” The movie belongs to Viola Davis as the wife of a dead crime kingpin (Liam Neeson) who has to carry off his last heist with his crew’s surviving widows. The cast is big, juicy, and as diverse as the city itself — Colin Farrell, Daniel Kaluuya (“Get Out”), Michelle Rodriguez, Robert Duvall, and the marvelous Elizabeth Debicki (“The Great Gatsby,” “The Tale”) finally getting a part that may break her into the mainstream — and the civic rot is spread liberally around. There’s too much going on in “Widows,” with McQueen so besotted with genre and place that he throws everything in and then some. It’s a lot of movie, and mostly a good one. Other Toronto standouts? “Roma” represents a return to his roots for director Alfonso Cuaron (“Gravity,” “Children of Men”), and it’s a period drama — a memory play, really — about Cleo (Yalitza Aparcio), a domestic servant to a wealthy family in 1970s Mexico City. Cuaron served as his own cinematographer, and “Roma” is shot in a lustrous widescreen black and white that makes for one of the most visually gorgeous cinematic experiences you’ll have all year. That choice also aestheticizes its heroine’s world more than is perhaps wise. “Roma” may be the finest movie a man has ever made about his nanny, and I say that as both a compliment and a warning. Cuaron opens his eyes as wide as he possibly can to his heroine’s life. That may not be wide enough. Just as poetic yet more successful on every count is “If Beale Street Could Talk,” an adaptation of the 1974 James Baldwin novel from Barry Jenkins, extending his “Moonlight” winning streak. As in the novel, the movie takes a situation that you might think you know — young Harlem-ite Tish (KiKi Layne) is pregnant, her boyfriend Fonny (Stephan James) awaits trial for a crime he didn’t commit — and illuminates it from within through cinematic observation and simple love for humanity. There are sequences of black American life in “Beale Street” that feel like they’ve never been seen before on film, like a family conference in which mother (Regina King), father (Colman Domingo), and sister (Teyonnah Parris of “Mad Men”) rally around Tish with understanding and beleaguered strength. Much of the film is hard to watch; much of the film is ecstatic with the certainty of young people in love. Cinematography, score, and performance intermingle to make a movie that feels more like a holy place. Most crucially, Jenkins preserves Baldwin’s voice, so lucid and so sympathetic for all those trampled underfoot in America. There were a lot of films at Toronto that existed in parallel with other films. “If Beale Street Could Talk” wasn’t one of them. It’s a movie that stands alone.